There is a quick method for you to check your IT refund status. The fastest way to track your income tax refund status is by using your PAN number to track it online. Within a few clicks, you will know your IT refund status. There are many types of online facilities at the income tax department including TIN-NSDL and TDS traces. In this guide, you will find detailed instructions on how to track your income tax refund status online. You will also be able to track it with SMS or calling the toll free number. 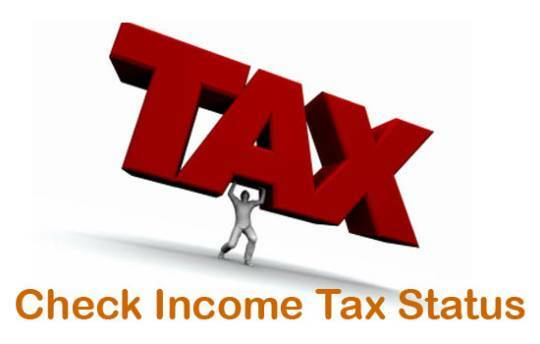 It is advised that you go to the official portal to track the income tax return status. The post offers a lot of valuable information on ITR returns aside from guiding you how to check the ITR status. Both individuals and firms are responsible of filing the income tax returns annually. Income tax refund refers to the refund of the excess income tax payment that is issued by the income tax department. Your taxable income that is qualified for income tax include paycheck, interest accumulated, profits earnings, and earnings from your investment capital. You must file for ITR when the tax that you have paid is more than the payable tax that you should be charged for the particular year. If you receive paycheck every month, your employer will deduct it automatically. You must file TDS refund if you notice that the tax deduction is in excess. They will take a couple of months to approve the TDS returns filing and refund back the excess to you. You can check the income tax refund status one week following the submission of the e-filling. You can submit the e-filling for the ITR return online. It will help you to save a lot of time when you check your ITR status online. You can learn about how to check the Aadhar card status on the blog. You must get ready the PAN number when you want to check your income tax return status. Please follow the instructions below. You can visit the given link to go to the official portal. 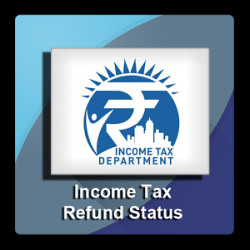 Press the submit button and the income tax refund status will be displayed on the screen. You will know whether your refund check has been sent to you by reading the status message. You can also conveniently check your IT return status without internet access. The following instruction informs you on how you can use to check your IT return status with the mobile phone. They will send you an ITR-verification receipt as a confirmation once you have filed for the ITR online. If you did not include a digital signature when you fie for the return, you must sign the ITR-V receipt and forward it to CPC, Bangalore. We have also provided the instructions on how to check the ITR-V status. By checking the ITR V receipt status, you will know whether the ITR-V receipt that you have sent did arrive at CPC and get accepted. You must provide your PAN number when tracking the ITR V status. You are to select the option and provide the necessary details. Enter the Captcha code and submit the form to see the ITR V status. Checking the TDS refund status or income tax refund status or ITR V status is important for people who pay tax as well as those who are waiting to receive the tax refunds. We will be writing a post to teach our readers how to check the TDS refund status. You can refer to other posts about the status checks for passport, PAN and Aadhar. You can find out how to track the status for many types of applications on the blog. People who pay tax usually file for the IT return annually and they also have to learn how to track the ITR status. The blog aims to help people to save time in performing status checks.